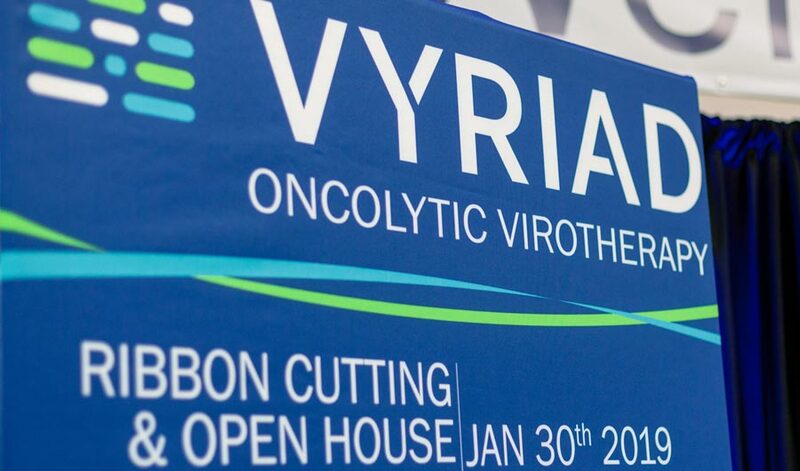 A January 30 ribbon-cutting ceremony officially introduced Vyriad's new 25,000-square-foot office, lab and clinical-scale therapeutics manufacturing facilities to its workers and the public at large. The Rochester, Minnesota facility will give the biopharmaceutical company greater capacity to research and produce specialized oncolytic viruses as it seeks treatments of various forms of cancer. To support Vyriad's clinical-phase product trials, Flad's design of the facility's current Good Manufacturing Practice (cGMP) areas includes two clean room suites where manufacture of viruses is initiated, product is purified, and (in a separate room) the viruses are packaged and labeled. The suites' rooms are modular to allow for flexibility and ease of future expansion. 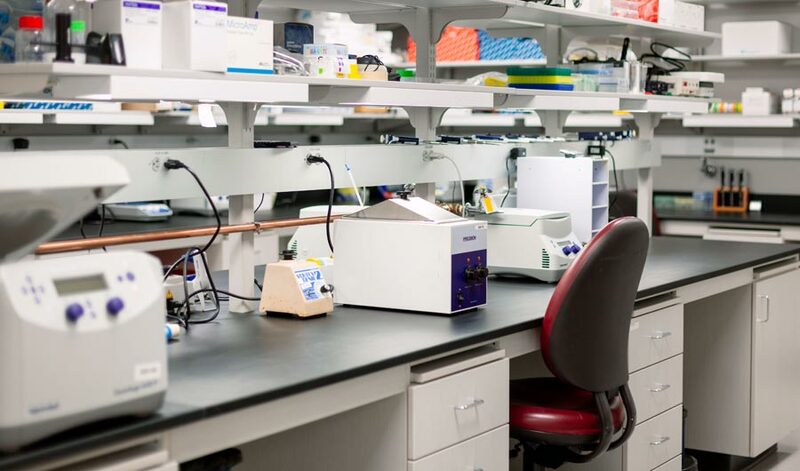 The buildout also provides space dedicated to quality testing of oncolytic products and patient samples collected for sponsored clinical trials. To minimize cross-contamination, all manufacturing, purification, packaging, and testing processes are unidirectional, and the clean rooms are airlocked to enable and maintain each individual room's cleanliness (ISO) classification.